RAMAPO CATSKILL LIBRARY SYSTEM, NY (March 31, 2014) – National Library Week is April 13 – 19, a time to remind the public about the contributions libraries, librarians and library workers make to their communities every day. Today’s libraries are faced with the challenges of responding to the ever-changing needs and interests of their communities. Libraries and librarians throughout the country provide their communities with tailor-made collections and services for people of diverse backgrounds, language abilities and technological skills. The Ramapo Catskill Library System (RCLS) and its member libraries are celebrating National Library Week and the valuable contribution of libraries and librarians in schools, universities and public libraries. National Library Week 2014 marks the 14th year of The Campaign for America’s Libraries, a multi-year public education campaign sponsored by the American Library Association (ALA), and libraries across the country to speak loudly and clearly about the value of libraries and librarians in the 21st century. Everyday more than 120,000 librarians nationwide connect students, families, senior citizens, businesspeople, teachers and professors with the information they want and need to be successful in a swiftly changing and increasingly global era. With today’s tough economy, libraries offer free resources to help people find jobs and learn new skills. With tools to help you search for a new job, resources to help your kids with their homework and, of course, books to expand the horizons of your dreams – it’s all free at your library. What makes the library unique is access to trained professionals – librarians – to help people find and interpret the information they need. In a recent survey by the Pew Internet & American Life Project and the University of Illinois, seven in ten library visitors reported receiving assistance from library staff, and 88% say they found a lot or some of what they were seeking. 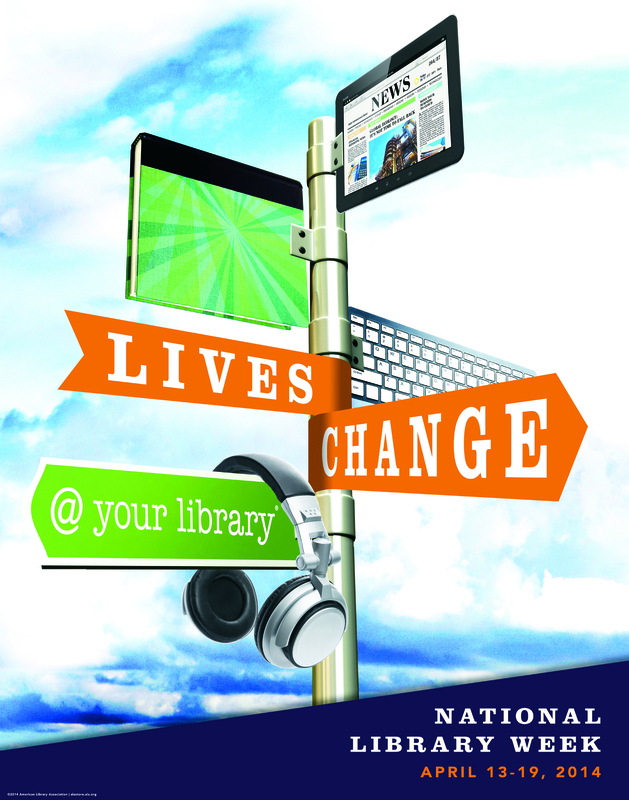 National Library Week is the perfect time to celebrate the fact that “Lives change @ your library.” For more information on special events and programs being held during National Library Week, contact your local library listed on The Catskill Chronicle’s Library Page. or visit the Ramapo Catskill Library System’s Website at www.rcls.org.